The Redmi 6 Pro is powered by a 4000mAh non removable battery. 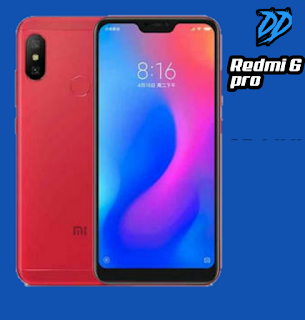 It measures 149.33 x 71.68 x 8.75 (height x width x thickness) and weighs 178.00 grams.The Redmi 6 Pro is a dual SIM smartphone that accepts Nano-SIM and Nano-SIM. Connectivity options include Wi-Fi, GPS, Bluetooth, USB OTG, Micro-USB, FM, Active 4G on both SIM cards, 3G and 4G (with support for Band 40 used by some LTE networks in India). Sensors on the phone include the Face unlock, Fingerprint sensor, Compass/ Magnetometer, Proximity sensor, Accelerometer and Ambient light sensor.